Due to the increasing number of buried utilities, digging underground is even more difficult today than it has been in previous years. 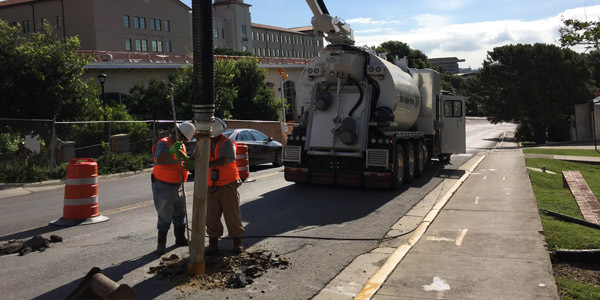 In addition to water, sewer, natural gas and electric lines, excavators also have to deal with buried traffic light and telecommunication cables buried deep down in the soil. 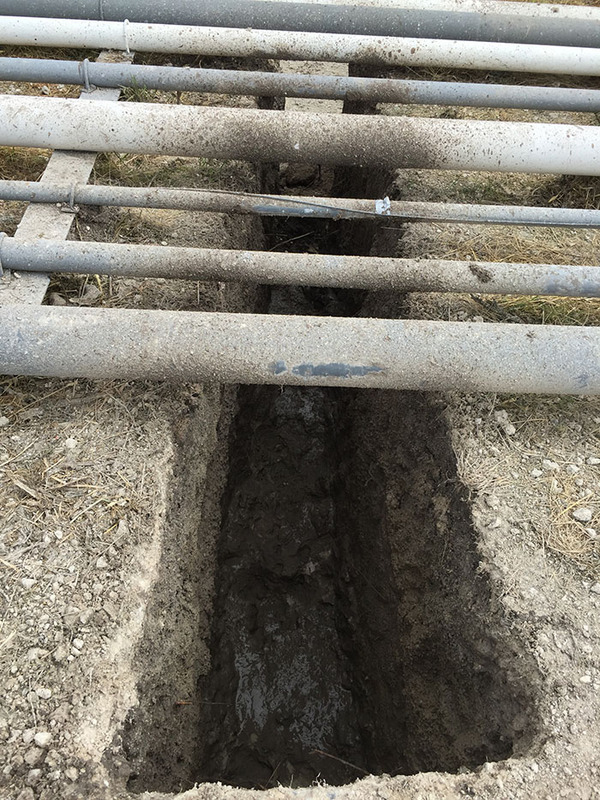 If you need to dig and you don’t know the exact location of the buried utilities, contacting a company that specializes in line locates through hydro excavating is the wisest decision you can make. This method is the safest and most reliable way to locate buried lines that have unknown whereabouts. It’s too risky to start digging with a backhoe, which can easily break or cut into a buried utility line. In addition to the expense and the time that it takes to replace a destroyed line, it’s also dangerous. Hydro excavation is completely safe because there is no cutting or digging down into the ground where buried lines rest. After making a hole in the ground, pressurized water blasts down into the opening to break up the dirt and gravel. Once these materials are loose, the high-powered vacuum that’s attached to the truck removes the loosened debris from the hole. Hydro excavating is a precise and reliable technique for locating and uncovering buried utilities. 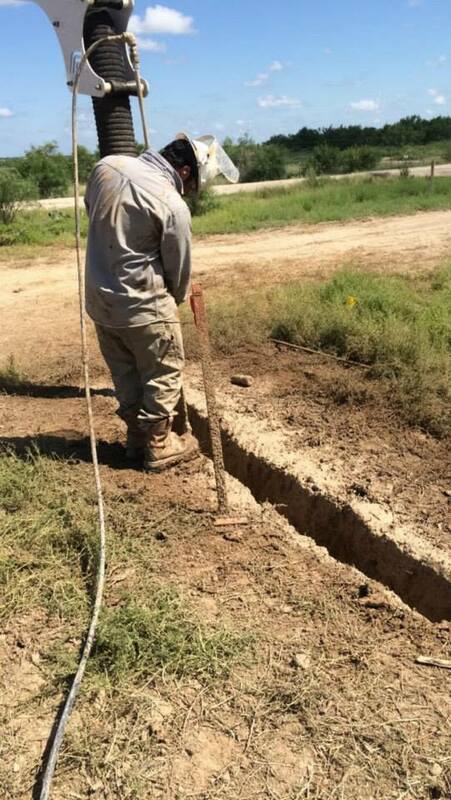 Our company, 4 Warriors Hydro Excavating, proudly uses this method to locate buried lines in Carrizo Springs, Texas to make way for the new pipeline. When you need accurate line locates, contact us for professional hydro excavation services. 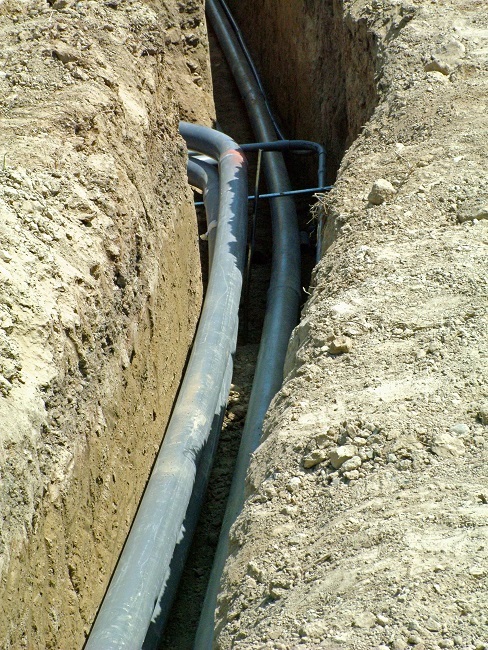 Don’t take the unnecessary risk of damaging a buried utility line when there’s an affordable and safer alternative. What Is A Vacuum Excavator And Why Is It The Best Method? The excavation business is one that has undergone many changes over the years. With new advances and changes in the sophistication of machinery, there are now machines created to do double the work in half the time. A vacuum excavator is a piece of specially designed machinery that works to remove dirt and debris to clear an area. It also serves remarkably well at finding utilities whose exact location is unknown. This method of excavation is one that has proven to be much more cost efficient because there is less room for error. With its powerful suction pulling up loose content paired with “teeth” that are in place to cut through earth and make smaller intake, this design maximizes productivity while minimizing the risk for damage to property or injury of operator. There are numerous business types already taking advantage of the unique ability of the vacuum excavator. Pipeline companies to utility outfits are currently enjoying the benefits of this incredible, cutting edge machinery. Since induction in the late 1990’s, the vacuum, or suction, excavator has undergone design changes pertaining to filter types, gravity separation, and air flow requirements that have created a mega-machine capable of the most difficult excavation projects. 4 Warriors Hydro Excavating is a family owned, Christian based company. They are a leader in the field and committed to exceeding customers expectations. We are ready to address any questions or inquiries for excavation services. We welcome you to contact us by visiting our website today to explore the many services we offer and to get a quote. Traditionally, utility excavation requires a large digging machine, such as a backhoe. To dig large trenches in the ground creating a hazardous work and home environment. Even under strict supervision and skilled guidance, large digging machines pose a risk that could lead to costly damage and ugly eyesores. Other methods include manual digging, requiring a large group of workers, long hours and many tools such as pickaxes, shovels, and sledgehammers. 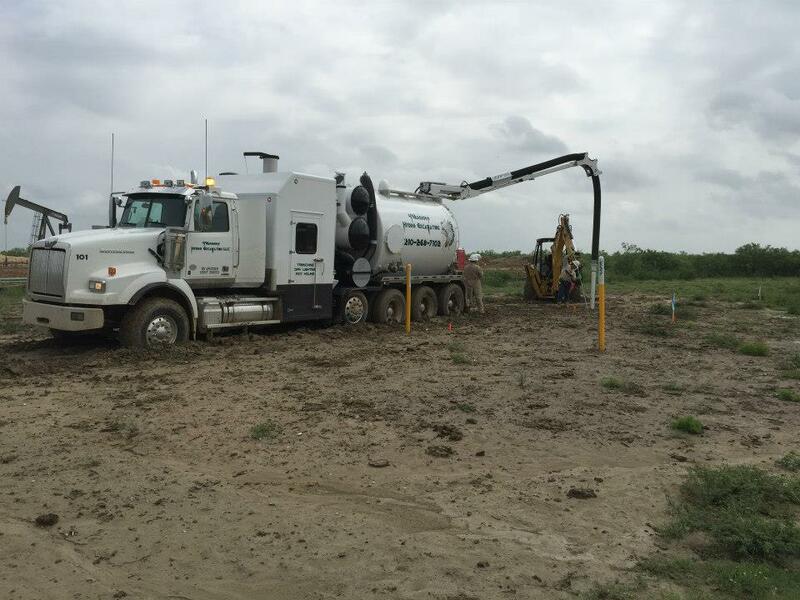 By utilizing vacuum excavation, a specialized process of soft excavation that uses pressurized water to break up dirt, gravel, and debris, while efficiently, and immediately extracting the loosened material with a high-powered vacuum. This method allows for a smaller group of workers and fewer machines to deliver ground-breaking results. A safer, smarter, and more efficient means of excavation. Click this link to contact us, and our family of highly trained specialists, with more than six years of combined experience will work for you. Our extensive training, and tough employment policies provide us with the cutting edge in skilled labor. We stay ahead of the curve and provide site specific training to ensure you receive the best service possible. 4 Warriors takes tremendous pride in their customer service and intends to uphold the standard set by the Louis family. Holding close to our traditional and Christian values, we here at 4 Warriors Excavating strive for excellence and safety. Blessed with the ability to provide a safer service to families and contractors. Let 4 Warriors serve you, with better safety, lower cost, and a friendly smile. Hydro-excavation is one of the most common sense ways of accomplishing one of the most basic of man’s activities, digging a hole! In ancient times, most of our holes were small. Perhaps we were digging for roots that we could use as food to feed our families or perhaps we were digging a hole in the side of a cliff so that we could have temporary shelter. As the times we live in have become more complex, however, so have the ways we utilize holes. Holes serve as the basis for almost every construction project and hydro-excavation is one of the most eco-friendly and time-effective ways of digging them. 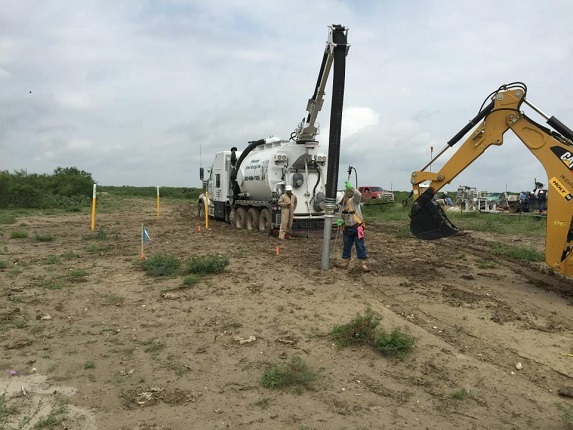 Whether you are digging a hole for the installation of utility posts, building the family home or constructing a high-rise building, hydro-excavation should be one of your number one choices in terms of methodologies. It can replace most of the noisy and ground-jarring types of other equipment that are commonly employed in the field. Hydro-excavation is about as natural of a process as there is in the construction field. One has only to watch the waters of a stream slowly work away expanding and changing its sides to witness the power of water. Ecologically, we would call that process stream erosion. In construction, we call what amounts to basically that same process, by a simpler term. That term is “smart.” In effect, what that stream is doing is hydro excavating soils to suit its purpose. I’ll never forget the time my young daughter came into the house with tears in her eyes because she said the water garden hose had crawled down a hole and she could not get it out! When we went outside to determine what she was talking about, we discovered that the hose was indeed embedded in a hole, embedded so deeply that even us adults couldn’t pull it out! We were living in Florida at the time and the sandy soil and the unattended hose had combined to perform a feat that seemed almost supernatural! Basically, however, that is what hydro-excavation is. Not supernatural in any sense of the word, but a very effective and quiet way to dig holes! We have specialized equipment that pressurizes the water. Then we carefully put that water to work digging the hole so that it meets the precise criteria you have specified. Simultaneous to digging, we are at work pumping out the excess water and soil and storing it cleanly and efficiently in a large tank. Later, according to your preference, we can use it for irrigation and fill either right on site or at another location. Contact us and let us tell you more about the benefits of hydro-excavation, about its reliability, its safety, and its cost effectiveness! Go ahead and use a shovel to dig those holes to plant your rose bushes but if you are thinking a little larger in scale, we will be glad to do the job for you! 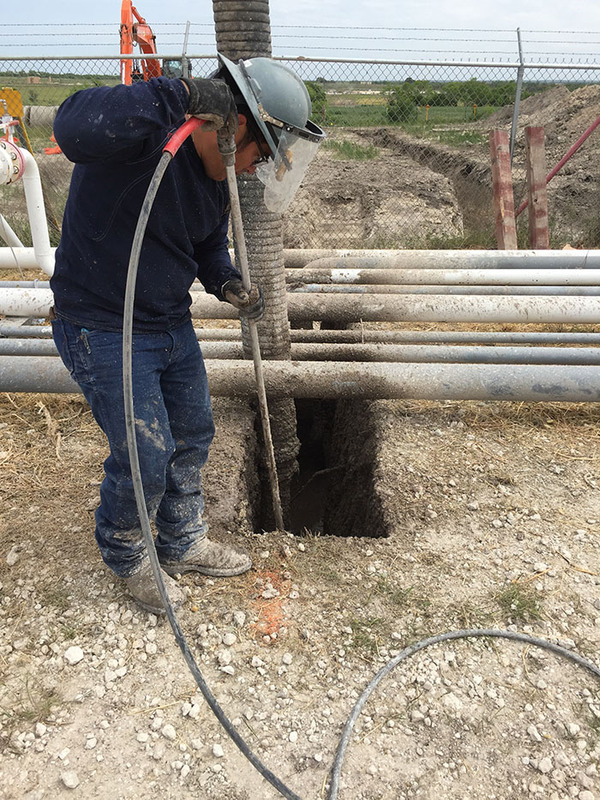 The process of vacuum excavation is a process wherein an excavating test hole is compressed with a great deal of air in order to loosen the dirt. A system is used to take in the soil by way of a tank. The procedure is considered a safe technique and is, relatively-speaking, one of the safest methods of excavating. It is used as a way to properly expose a utility. Many companies involved in excavation have made use of the process. It is a fact, that most companies making use of air vacuuming have reported a high success ratio. Many excavations have been executed where the utility underneath the ground has not received any damage whatsoever. The equipment used includes a source for the power, air and vacuum systems, tanks for the soil, demolition and drilling tools which are driven by air, and, naturally, control systems. The components housed on the air vacuum truck are safely mounted. The advantages of what is termed as test pitting, also known as vacuum excavation are numerous. Test pitting is the way excavation companies expose a utility. The list below provides the reader with the advantages of vacuum excavation pertinent to verification. One feature, and pointed out above, is that the utility receives no damage whatsoever. Secondly, no moving parts make contact with the utility being exposed. The process is usable on all utilities. Utilities where vacuum excavations are used include: gas, thermal distribution systems, water, power, and communications inclusive of fiber optics. A small hole used in the process is standard. The hole measures only twelve inches by twelve inches. Vacuum excavation, by its very nature, is far less disruptive and is relative to a much safer and cleaner work site. The cleaner, quieter method of vacuum excavation makes the entire environment free of traffic congestion. The process allows for an easy patch–either permanent or temporary. Due to its simplicity, vacuum excavation provides the client with a very cost-effective means of exposing a utility. The application in way of vacuum test pitting for verification of a utility is practical during the design stage as well as the planning stage. Critical information is obtainable, necessary for proper design and project planning. The process provides a reduction of undue surprises. In turn, delays during the phase of construction are minimized as well as associated costs. Utilities which conflict with new installations are moved successfully and placed in service prior to construction. The proposed design, additionally, is changeable in order to correspond properly with conditions verified within the field. The utilities can be verified and profiled prior to boring operations. In order to get the ball rolling, it makes sense to get a hold of professionals. Interested parties will wish to contact us in order to attain more details about the operational aspects of vacuum excavation. When performing any type of job, safety is the number one priority to keep workers and bystanders free from danger or harm. Uncovering underground cables or utilities with heavy machinery is one such job that has the potential of being very dangerous. Read the information below to learn how a dedicated and reliable company can safely perform this job at your work site. When using heavy equipment to dig underground, there’s always the possibility that the machinery will hit a buried cable, pipe or utility. This action can potentially cause a fire or explosion and injure those who are nearby. To complete this job safely and successfully, companies or individuals should contact an experienced company that specializes in hydro excavating and industrial vacuum services. 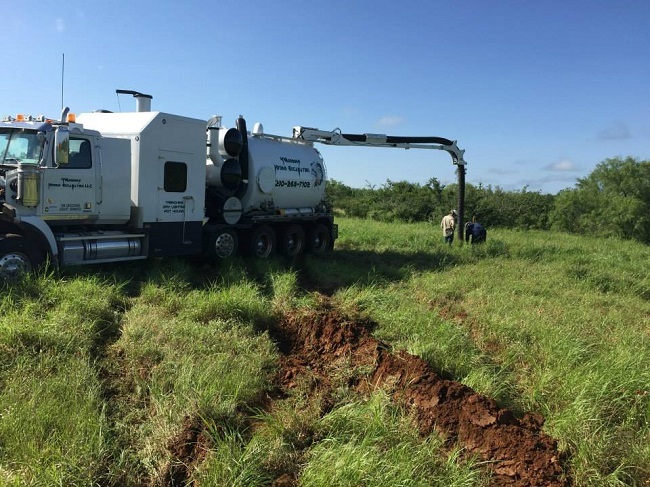 When employing hydro excavating services to uncover buried utilities and cables, trained professionals use pressurized water to wash away dirt and debris that surrounds underground pipes and utilities. When the high-powered water stream knocks the dirt and debris loose, an industrial vacuum hose draws the debris into a holding tank. The debris inside the tank is later transported to an approved location for dumping. 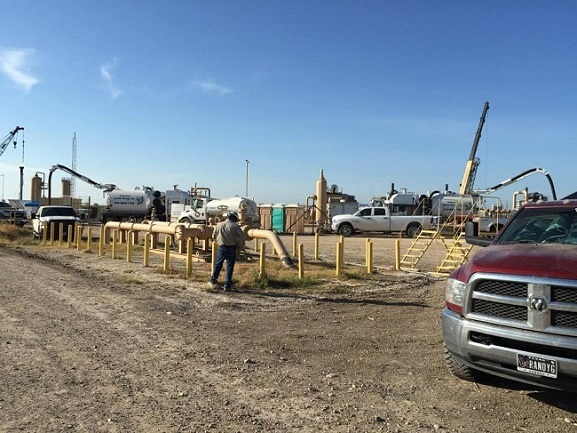 4 Warriors Hydro Excavating recently excavated under existing lines in Gillett, Texas. This allowed our to customer to run new gas lines into the facility and eliminated the potential for line strikes inside of an H2S facility. When you need professional hydro excavation services, including potholing, trenching, day lighting or industrial vacuuming, contact us for more information or for an estimate. We are a family owned company with Christian values and we strive to offer the best service that’s cost-effective, reliable and safe. Trees have many positive impacts on both the environment and on landscape aesthetics. They absorb the greenhouse gas carbon dioxide as well as harmful gasses such as sulfur dioxide and carbon monoxide. They provide shade in the summer and cool the surrounding air through evaporation. Their presence has a stress relieving effect on most people and they enhance the beauty of both residential and private property. Trees also enhance property real estate values. They make rental property more attractive to tenants. This is why you shouldn’t take lightly any ground excavation work done around the trees on your property. Damaging the roots is harmful and potentially fatal to trees because they use them for water and nutrient absorption and for structural stability. Hydro excavating is used for safely digging in the vicinity of underground plumbing, electrical lines, and optical cables. It uses water under pressure to loosen soil which is immediately sucked out along with the water with a vacuum pipe. Likewise, hydro excavating is safer for tree root systems when digging holes and trenches near trees. There is no reason to take out a tree, relocate it, or risk damage to its roots with mechanical digging methods. If you have large beautiful trees on your property, consider that they take between 10 to 30 years to reach their full size. This is a long time to wait because of root damage caused by excavation work. Even if a tree survives root damage, its ability to absorb water and nutrients from the ground is weakened. This in turn stunts the tree’s growth and makes it more vulnerable to disease. When you need to have excavation work done, protect the environment, your property value, and enjoyment of your property by hiring hydro excavation professionals for the job. 4 Warriors Hydro Excavating has the expertise for the job without damaging the landscape of your commercial or residential property. For more information, contact us. April 2016 marks the return of a very important, national observation. It’s Safe Digging Month and all of us here at 4 Warriors Hydro Excavating wanted to take a moment and discuss digging safety. Originally designed to highlight dangers in the pipeline industry, it has since morphed to include digging in other industries. Plus, it serves as a good reminder to residential property owners too. Hydro excavating is one of the safest ways to dig that our family knows of and we’d heartily recommend it to everyone that needs to reach below the earth’s surface. What makes it safer than just grabbing a shovel or renting a backhoe? For one, it avoids the need for large, search holes. And as we all know, holes pose fall risks as well as help to make the ground temporarily unstable. Also, they may inadvertently trap wildlife and capture standing water. Standing water, of course, creates dangers of its own. Dangerous holes are just the beginning. Hydro excavating keeps people and machines from cutting into dangerous materials. For example, it can safely identify pipes used to transport raw sewage, natural gas, petroleum and chemical plant waste from place to place. Plus, it can just as easily locate minor things like residential irrigation pipes, termite treatment lines and underground cables. What else can hydro excavating do to ensure digging safety? Once underground obstacles have been identified, they may be mapped for future reference. So after catastrophic events like earthquakes and sink holes, the maps may help area managers protect residents and plan rebuilds. They can also make relocating or adding various resources to storm damaged areas easier too. For instance, after flooding managers may need to dig a diversion channel to prevent further drowning deaths. To learn more about safe digging and how hydro excavation is key to its continued execution, please contact us today. When utility services go down, even for only an hour, many people panic. This tends to be true whether we’re talking about HVAC related power, cable or the internet and it’s easy to understand why. People rely on those services for their businesses, entertainment, comfort and communication. So time spent without them frequently comes with a steep a price for consumers. How steep a price? Historically, it could cost corporations thousands. Check out some of the previously recorded losses in InformationWeek magazine. It’s staggering and make no mistakes about it. Utility downtimes may be costly for service providers too, especially if disgruntled consumers take to social media with their complaints. For an indication, just take a look at coverage of outages that took place in 2015. Utilizing daylighting services is one way to significantly limit downtime. It some cases, it may uncover damaged lines in 10 minutes or less. As such, repair crews may finish quickly, thereby reducing a variety of potential losses not to mention unfavorable media attention. And as for the cost of hiring daylighting crews, it is negligible when compared to the financial implications of the other scenarios we described. Would you like to know how negligible? If so, please contact 4 Warriors Hydro Excavating today. We can show you firsthand how daylighting excavation improves bottom lines. Also, our family of experts is willing to answer questions about other cost-saving services that may help.